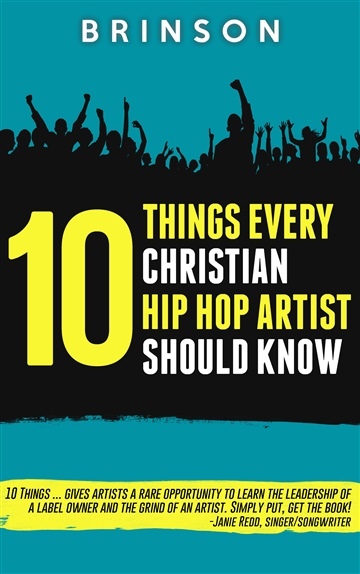 SAMPLE CHAPTER "10 Things Every Christian Hip Hop Artist Should Know"
Brinson has been known to advise others that “If you ain’t tryin’ to win souls, don’t rap no more.” But if you are he, has some words of wisdom based on many years of experience as an independent hip hop artist pursuing such a lofty goal. He wants others to be financially and spiritually successful at this music ministry and use it to bring more listeners into the knowledge of God’s unfathomable love. I pray readers take heed.